Despite a rather directionless and confusing sound, ''Les nouveaux mondes'' received some positive reviews worldwide and strengthened the motivation of Nemo to record instantly a second album.Original drummer Pascal Bertrand though would not be part of these sessions, he was replaced by newcomer Jean-Baptiste Itier.The album, which would be named ''Presages'', failed to attract the major prog labels and once more the French band decided to produce it by itself, this one found its way to the market in October 2003. 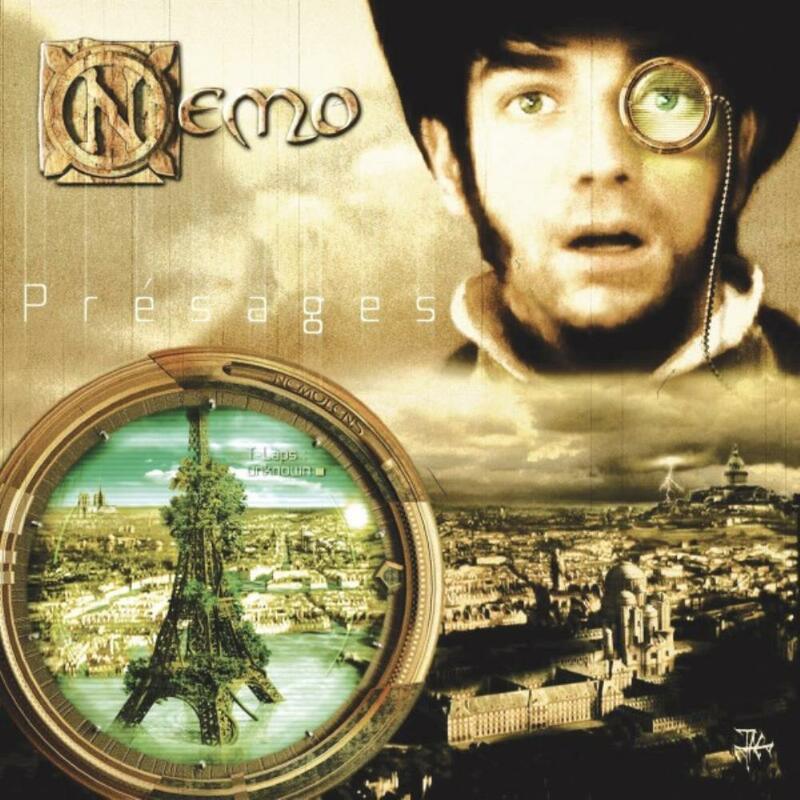 There still are some questionable choices and ideas in ''Presages'', but this time the group appears to have grown compositionwise in a work, that contains over 60 minutes of music condensed in five tracks, four of which are over 10 minutes.Fans of modern Progressive Rock won't be dissapointed.Nemo play a mix of hard-beating guitar riffs, Fusion keyboards, orchestral textures and Neo-Classical orientations, drawing inspiration from French Prog ala ANGE and ATOLL, Progressive Metal in the vein of DREAM THEATER and SYMPHONY X, and modern PORCUPINE TREE-like Prog Rock, maybe colored with some Neo Prog flourishes in the process.The music is emphatic, rich and powerful, ranging from symphonic moves to heavy, pounding guitar leads, passing often through virtuosic keyboard solos and melodic themes, while the atmosphere tends to be dark and dramatic quite often.The influence from the 70's French Prog scene becomes obvious in many of the lyrical moments of the album, which are very poetic and expressive, while the arrangements are pretty interesting with plenty of breaks, tempo changes and shifting moods.The last two pieces, each divided in several shorter movements, show Nemo at their most progressive.Here is where the band becomes very flexible, introducing quirky piano themes, acoustic guitars and straight, symphonic references to its music.The result is charming, full of sophisticated passages and clever switches into heavier territories, which can satisfy even a Prog Metal fan. ''Presages'' mark Nemo's right choice on developing well-composed, atmospheric and intense music.Heavy Prog with Classic French Prog and Fusion vibes, played with passion and enough talent.Warmly recommended.